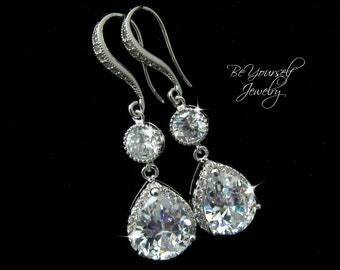 Extra long teardrop bridal earrings that we made using high quality Cubic Zirconia components. Perfect for weddings and special occasions. These earrings are very luxurious and expensive looking! - All parts are luster rhodium plated, tarnish resistant and hypoallergenic. - They measure about 2 ½ inches in length. - Also available in gold and rose gold for the same price. 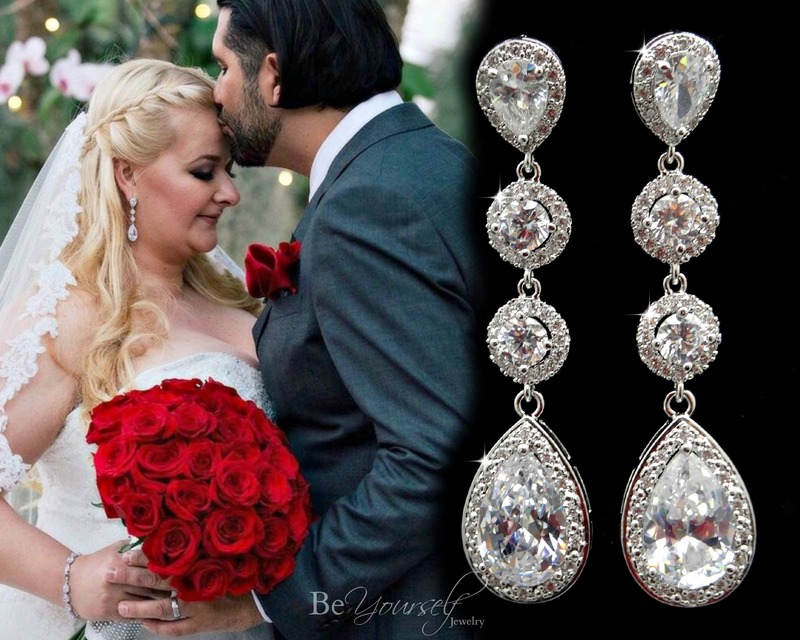 * Special thanks to bride Priscila Chalela who looked so beautiful at her wedding wearing this earring design and the matching teardrop bracelet from our store.